We are excited to share the news that HBO Documentary Films has acquired the rights to Sidewinder Films' newest documentary project, At the Heart of Gold: Inside the USA Gymnastics Scandal. The film, which is directed by Erin Lee Carr , is set to premiere on HBO in 2019. Dr. Steven Ungerleider and David Ulich , GSD Executive Board Members, are producers of the film. 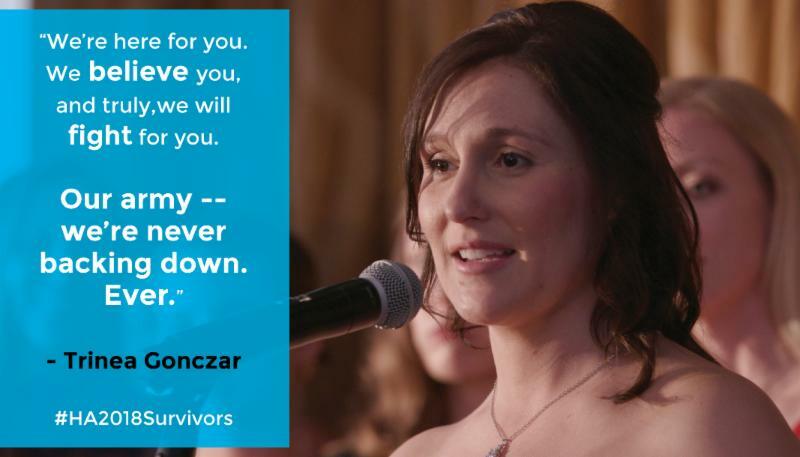 With interviews from abuse survivors, family members, coaches, and others close to the story, the film explore s "a landscape in which women spend their youth seeking victory on a world stage, juxtaposed against a culture where abuse prevails and lives are damaged forever." In addition to the film and award, we are developing a comprehensive abuse prevention program for adults and youth. Childhelp , a national leader in abuse prevention and treatment, is partnering with us to create this program. We are involving the Humanitarian Award recipients as we move forward, in order to ensure their voices continue to be heard. Learn more about the film, At the Heart of Gold: Inside the USA Gymnastics Scandal . Please join us in congratulating the eleven graduating high school seniors received our 2018 Exceptional Youth Scholarship . 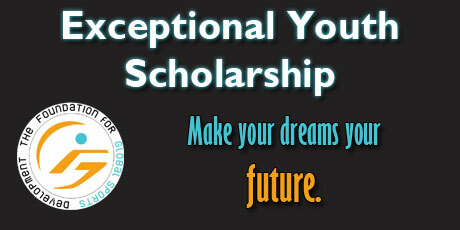 ﻿Each recipient receives a $5,000 scholarship award to go towards expenses at a four-year college or university. Learn more about the 11 scholarship recipients here. Curious what our Athletes in Excellence Award is all about? Check out this spotlight on one of last year's recipients, Haley Hunter Smith . 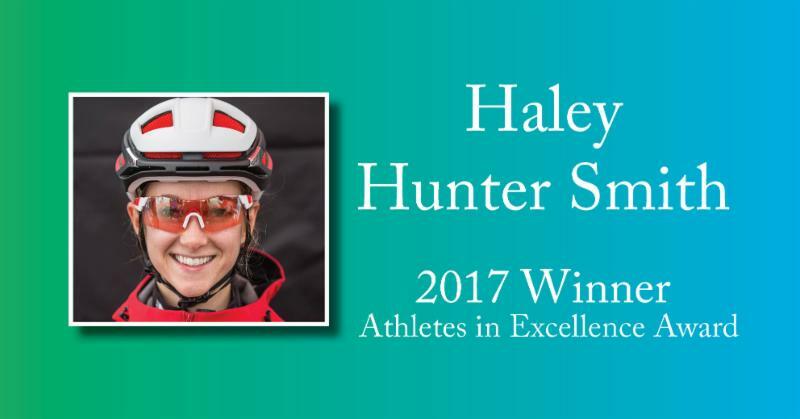 Haley is a Mountain Bike Racer from Canada who advocates for those who struggle with mental wellness. We are still accepting nominations for our 2018 Athletes in Excellence Award!